Free printable paper dolls for the bible story of Joseph in Egypt. I sometimes get overwhelmed with the amount of bickering in our home. I'm a homeschooling Mama of four kids, so it's probably not an unreasonable amount of fighting, but it still wears on me. I have visions of peaceful, quiet days full of reading and making art and while a lot of that comes to pass (we do read a lot and make art), we just do it with consistent bickering in the background. I'm grateful that our sibling conflicts haven't reached "Joseph and His Brothers" proportions (yet). Never once have the older kids ganged up on the baby and tossed her into a pit. No one has been sold and taken to a distant country. So comparatively, we're doing pretty well. 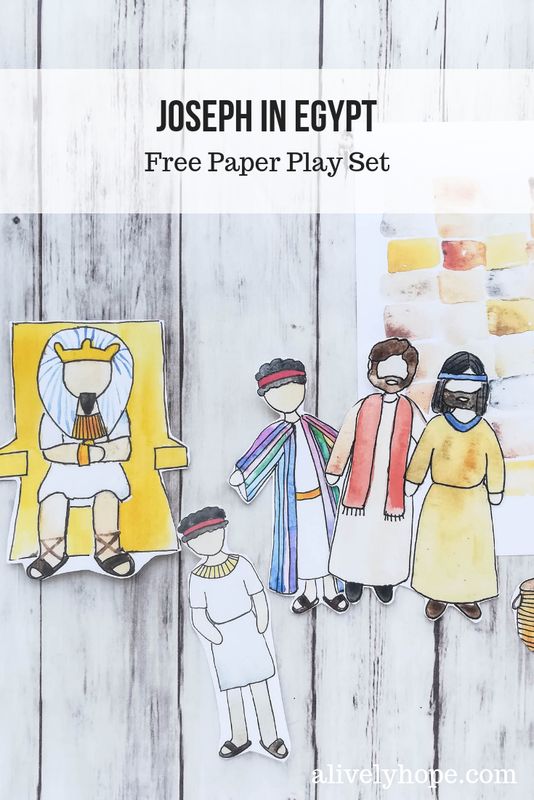 I still plan to use this Joseph paper play set as a Family Home Evening lesson to help us talk about treating each other kindly and enjoying time together as well as the benefits of hard work and doing the job you are given well. 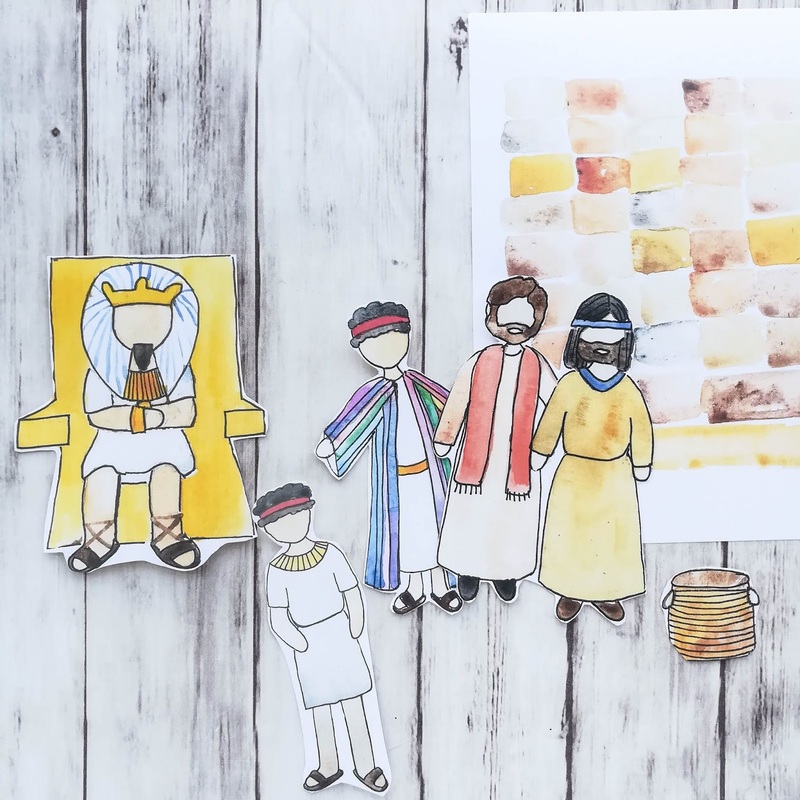 Joseph's story has many different parts, and I did not include figures for every part of his story. I glossed over Potipher and his wife in order to allow families to handle that delicate topic on their own. 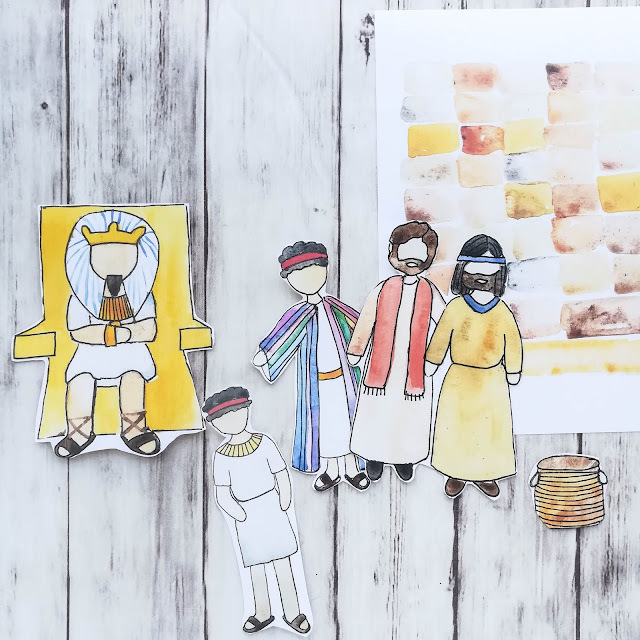 I did include some generic men, who we will use both to represent Joseph's brothers as well as the men he meets in prison. How did Joseph handle adversity in his life? List some examples of when Joseph worked hard and his life was blessed because if it. How would you describe Joseph's personality? How can you be more like Joseph?